I wrote for a couple of hours in the coffeehouse last week. A couple of hours is a pretty long writing session for me. I got nearly a chapter written on the second Memphis book and felt proud of myself for knocking so much out. But there was a barista there who had me beat to pieces, as far as being productive. She greeted probably 80% of the people who walked in the door by name. (I have days when I struggle to remember my own name. It’s the Riley/Elizabeth thing…I think I’m getting confused.) This girl seemed genuinely happy to see the customers and even asked about specific things related to their lives. The barista told one of the customers that she’d been up until 2:30 that morning studying….she was a college student. She gotten to the coffee shop at 6:30 a.m. and was working until noon, when she went to class. After class she waited tables at a restaurant until 11-ish. Then went back to her apartment and studied. Okay…given…she was 21 years old. Being young does do a lot for your energy level. But she seemed—alert. Energetic. Happy! I’m usually running around like a chicken with my head cut off. It’s fueled by coffee in the early morning and deadline desperation by the late morning. My fast pace while knocking out non-writing related stuff is due to pure necessity. Otherwise…the stuff just wouldn’t get done. My energy? It’s hyperactive. It does get stuff done, but I seem more jittery than not. And I have a writing friend, Cleo Coyle, who writes two series for Penguin and has a lot going on. But it seems like the more she has to do, the more productive she gets. So I thought I’d look at energy-boosting ideas. Exercise. Bleh. But okay, I’m trying. I’m on the Wii 3 or 4 times a week now, doing that advanced step aerobics. Does anybody else do it? Do y’all think it’s hilarious that the steppers are on a stage with an audience cheering them on? Sleep. Yeah, that would definitely help. Insomnia keeps me from much of it, though. Meditation/Quiet time. I hear a lot about the benefits of this, but haven’t seemed to be able or willing to squeeze time in for it. How long is long enough to have it work? I’m thinking exercise or meditation sounds like the best of the group. Maybe there are more ways to get energized? Anyone? And—if you exercise—what works well for you? I thought that, after writing a post on James Patterson--the top book marketer—that I’d write a short post on J.D. Salinger—the anti-promoter. James Patterson and J.D. Salinger shared the same publisher: Little, Brown & Co. That’s all they seem to have had in common. Salinger, famed writer of Catcher in the Rye, died Wednesday at the age of 91. He wrote four books; his last release was Raise High the Roof Beam, Carpenters and Seymour: An Introduction (1963). By all accounts, he was a man who loved writing. In 1999, Salinger’s neighbor claimed Salinger told him he had at least fifteen unpublished books in a safe at his house. Salinger’s former girlfriend said he wrote daily. In 1974, Salinger told The New York Times: "There is a marvelous peace in not publishing. Publishing is a terrible invasion of my privacy. I like to write. I love to write. But I write just for myself and my own pleasure." Salinger was a remarkable writer, but it’s easy for me to feel selfish as a reader and wonder why he didn’t care more about us—what books have we missed out on because of his intensely private nature? I have similar feelings for Harper Lee. No other To Kill a Mockingbirds for us? Really? Please? I’m a private person, myself. And an introvert. It is very difficult for me to gear myself up to do an appearance or go to a conference or workshop. But I see it as part of my job as a writer. The job description of an author has definitely changed in the past twenty years. Unless you have a truly amazing talent, you really can’t get away with doing some form of promotion for your novel. Readers are lucky they have Catcher in the Rye and To Kill a Mockingbird to read and enjoy. Maybe it’s just human nature that we want a little more. A quick note to mention we're all lying about ourselves at Mystery Lovers' Kitchen today--and also giving one truth...but you'll have to pick out the truth from the lies! Hope you'll pop over: we're having fun today. Thanks to Terry Odell for guest posting for me today for my Writing Process series on Mystery Writing is murder! Terry’s books straddle the mystery and romance genres and you can find out more about them here. Thanks, Elizabeth for having me as your guest on Mystery Writing is Murder. When I saw your topics, I had a head-scratch moment, since I don't consciously separate my writing process into the 3 stages you mentioned. Then again, I'm someone who thought she was writing a mystery, but was told by my daughters that it was a romance. At that point, I'd never read a romance, so I just kept writing the story I wanted to tell. I didn't know there were "rules" or "methods" so I just do what works for me. I'm not a plotter or an outliner. I tried. Really tried. Went to all those workshops about storyboarding. But after a short time, all I could think was, "enough of this." I don't do character sheets, because that's as much of an "enough of this" exercise as plotting. For me, writing is a matter of moving in short bursts, and keeping track of what's happened, or where I think I might want to go. But as Nora Roberts is famous for saying, "I can't fix a blank page." So I write and see what happens. First writing of the day is looking at what I wrote the day before. It's had time to settle, and the typos tend to rise to the top. It also gives me a running start for new material. I have an on-line critique group, and if they've given me feedback, I'll decide what needs to be addressed. If they catch a plot hole, I have to fix it before going further. Late afternoons and evenings, I write new stuff. That's simply the way my mental rhythms work out; everyone deals with their own schedules. My current manuscript was my first straight mystery, and I thought I might drag out the storyboard again. Still a no go. But I did find I could use it to keep track of what I'd written, and also of ideas for scenes, plot points, character moments. I used two separate boards: one for the ideas, and one for tracking the story. First came the ideas. Plain and simple, it was brainstorming. Lots of "what if" thoughts. For previous books, I'd done it on a computer document, but having the physical sticky notes to pick up and move around gave me a better visual, and made it easy to change things. As I dealt with each 'idea' I'd either toss it or put it on the story board in the appropriate chapter box. Since I've been "trained" in romance, I tend to focus on the big GMC: Goal, Motivation & Conflict for each character. I would figure out what my characters wanted, why they wanted it, and why they couldn't have it. Again, a lot of trial and error. For example, in the book I just finished, the underlying motivation was for Justin to find a "secret something" (at the beginning of the book, that was enough for me) at his grandparents' home. A big question I ask myself all through the process is "why". So, why would Justin want something? And, the bigger why: Why doesn't he just ask his grandparents for it? They love him; they'd probably give it to him. So figuring out what "it" was required a lot of discarded ideas. But I don't need to know exactly what it is right away. Heck, I didn't even know who the villain was until at least halfway through the book. I strongly believe that our subconscious minds will know, or at least lead us in that direction. Using colored post-its made it easy to see at a glance where the story was going. I learned what I needed to track and started adding things like where the scene took place, what secondary characters appeared, what clues were revealed, what day it was, etc. I used big sticky notes for the POV characters; a different color for each. I used smaller ones for the secondary characters, locale, etc. By the end, the story board was jam-packed, and my idea board was almost empty. If I'd looked at the empty board and tried to fill in before I started writing – well, "enough of this." So, I suppose if I had to summarize my writing technique, it would be plan a little, write a little, fix a little. Rinse. Repeat. When I finally get to "The End" I do tightening edits, but by then, the story should (note "should", not "is") be complete. After the tightening comes the polishing, where I'll find the rest of those problem children that have risen to the top. But, again I don't play by the rules. I can't write scenes out of order. If I'm waiting for feedback on a critical point, rather than write ahead and take the chance everything will unravel when I find out whether the cops can actually do what I want them to, then I'll do some polishing. Maybe I'll plug a chapter into Wordle.net and see what words I'm overusing. Or make sure my transitions are clean, or my dialogue isn't drivel. Thanks so much, Terry! I love finding out how other authors plan and write their books. And that storyboard is very cool-looking. I took this opportunity to do some guest blogging myself. :) You’ll find me today on Mason Canyon’s blog, Thoughts in Progress. My topic today is “Nancy, Trixie, Scooby, Miss Marple, and Me.” Hope you’ll pop by. You can say what you like about his writing (or that of the co-authors he hires to write for and with him), but the man sells some books. And I do respect sales. You really can’t argue with money as an indicator of reader popularity. According to the New York Times article from Sunday (which I’ve taken the block quote from, above), Nielson’s Bookscan reported that Stephen King, John Grisham and Dan Brown’s sales combined in recent years don’t match Patterson’s sales or income. He has 51 New York Times bestsellers. Thirty-five of those books went all the way to the top spot. So we’ve established that he’s an extremely popular and successful author. He gets repeat business from readers—some read everything that he puts out. How does he do it? And—do we want to do it? I’ll admit that I’m not a Patterson reader. My son reads his YA books, but his other lines are just too graphic for me (I’m a sensitive soul.) I’ve read probably one or two of his books, and it was a while back. I read the New York Times article with a lot of interest. Several times in the story, it referenced Patterson’s populist appeal—an appeal he carefully planned. He thinks of himself as both an entertainer and a proponent of reading…reading for the masses. He aims to write books that will even pull in non-readers. Basically, Patterson analyzes what readers want. What pulls them into a story? What makes them buy books? What makes them repeat readers? He’s decided that his readers want a fast-paced book with short chapters, lots of action, and less setting and description. This formula is definitely working for him. There’s no way that I could write books like James Patterson. But I found his approach very interesting—he writes what his readers want. As a genre writer (low-to-midlist), I definitely want to tap in to what readers want. My editors want me to write what readers want, too—that is, after all, what sells books. Most often, what cozy mystery readers like to read is what I like to read: quirky, interesting characters, a twisty plot, a few red herrings chucked in. But this article made me really sit down and assess—am I delivering what readers want? I know there are many writers who write primarily to please themselves and they hope that their novel will please readers, too. There are some who probably wouldn’t want to sacrifice their vision for a book in favor of a populist appeal….they may even view that as selling out. This is likely the case with most literary fiction. Unfortunately, it’s harder for books to get to the shelves if readership is uncertain. The last thing the world needs is a bunch of James Patterson wannabes on the shelves. But each genre has its avid readers. What do readers in your genre want? Is delivering their wants a priority of yours? Should it be…or is it too much of a sacrifice? And…feel like some corn pudding? It’s Simple Southern Side day at the Mystery Lovers’ Kitchen! Writers frequently tag that question as the single most frustrating inquiry we get from non-writers. It’s frustrating because it’s nearly impossible to answer. We get ideas from everything. Getting ideas isn’t usually the problem for a writer…herding the ideas is. The local newspaper has given me plenty of inspiration as a mystery writer. There have been stories this past week in the paper that completely horrified me. These stories will not fit in with my cozy writing. But they can send your mind into a whole different, dark direction. Sometimes other people unwittingly give you plot ideas. I’ve overheard bits of conversation that have really made me raise my eyebrows…and reach for a pen. This is an advantage of being a wallflower and sitting quietly in public places. As a mystery writer, I’m particularly interested in what makes people upset with each other. I’ve heard stories of people angry with coworkers, spouses, and family. Motives galore! I can dream these motives up…well, I could. But I don’t have the violent emotions that some people have. I’m usually pretty calm. When I’m around people experiencing these high-powered emotions, I do jot down notes after they’re gone. Character ideas from people we come across: My favorite people to bump into at the store or at the bank are people who surprise me or make me smile. I was at church a couple of weeks ago and a very stern old lady with tightly coiled curls put her elderly husband down firmly in the pew ahead of me. “Now don’t move! Don’t talk to anyone! Stay put.” And she stomped off to join the rest of the choir. He immediately got up and started talking to people in another pew. “Ohhh…he’s gonna be in trouble,” said my son. The best part was when she went up the aisle with the choir in the processional (singing an ancient…maybe 17th century, solemn hymn) and her husband reached out to pinch her as she went by. Her face was priceless. I jotted it all down on my bulletin so I wouldn’t forget her expression. Plot ideas from our own experiences: I don’t plan to write about myself. But there’s a little bit of me that goes into my protagonists—usually a bad part. I think writing down my shortcomings is good therapy in a way. Other people put a lot of themselves in a book. Plot ideas from music we hear. Plot ideas from something we see while we’re out running errands. I pick up facial expressions, names, emotions, outfits, and settings when I’m on the go. It’s a constant stream of inspiration—bits and pieces of things to eventually make up a big picture. Maybe your protagonist is an international spy. His days are rarely boring since he’s always hopping a plane to a dangerous spot on the other side of the world. For most of us? Our protagonists are fairly ordinary people—like we are. But something extraordinary happens to them, pulling them out of their routine. The moment when the story really starts has been called the “Call to Adventure” in the hero’s journey, as detailed by author Joseph Campbell. In my books? My characters are just minding their own business when they discover a dead body. There are many other calls that form the genesis of stories. Are confronted with a challenge—he must go on a dangerous trek to destroy an evil ring in a fiery volcano. Are put in an extraordinary situation. This could be a plane crash, a sinking ship, a devastating natural disaster or a devastating manmade disaster (war, terrorism, etc.) A group of British schoolboys try to survive on an island after their plane is shot down during World War II. Or...a girl discovers a magical wardrobe is the gateway to another world. Are asked for help. A Harvard professor gets an emergency phone call in the middle of the night. The curator of the Louvre has been murdered. Can he help solve a mysterious cipher? Are on a quest for a treasure. Can Charlie find the golden ticket? Can he survive the tour of the factory to obtain a greater prize? Meet their soul mate…the call of their heart. But the journey to a relationship is a rocky one. Twilight, anyone? Realize their dream—and follow it. A girl realizes she wants nothing more than to return home. She embarks on a remarkable journey, encountering dangerous obstacles along the way. The protagonist makes a decision—do they answer this call? Are they reluctant to accept? Are they dutiful, eager, terrified? Their reactions to the call help introduce the reader to the character. Calls to Adventure usually come fairly early in a book. As a reader, I like knowing what direction the story is heading in—the sooner, the better. Has your protagonist heard a call? How did he or she answer it? There are books out there where the protagonist works his way through the plot solo, without friends to bump ideas or thoughts off of. Without close advisers to interact with. Without friends to support or even irritate him. Those books tend to have a lot of internal dialogue or are man-against-nature stories of someone trying to survive while stranded out in a snowstorm or at sea. Provide the main character with advice and insight. The protagonist needs someone to bounce a few ideas off of. I love sidekicks in mysteries—they keep the sleuth from having long internal monologues about who the killer is. Take the plot on a different path. The friend could talk our character out of a potentially good or bad decision. He could create obstacles for our main character or help him meet his main goal. Introduce conflict. Maybe this friend isn’t such a good influence. He’s been the protagonist’s friend since they were kids, but he’s been in and out of trouble his whole life. Maybe he drags our protagonist into his seamy underworld while our main character is trying to rescue him from it. Help reveal backstory. Like the example where the character helps reveal insight into our character, the friend can also shine some light on other important, plot-related events in the protagonist’s life, through dialogue. We have to be careful not to make this an info dump and to work it in seamlessly. Provide humor (to release tension), or a great subplot. Even thrillers can use a little comic relief every once in a while. When life starts getting really stressful and tense in our novels, a little well-timed humor can do a lot toward reducing it. Our protagonist’s friends can also provide us with an interesting subplot (extra points for tying the subplot into the main plot). Do your protagonists have friends? What role do they play in your novel? Headshots and short bios are useful to have around. Even if you don’t yet have a book deal, you’ll need a picture and biography for any contests you might win or guest posts you might write. And these days, it’s a good idea to build an author platform before you’re even published. A platform is simply a professional internet presence—a personal blog or a website, and maybe a Facebook or Twitter page. What needs to go on these web pages? A nice photo of you looking happily professional and a pithy bio to introduce you to any editors or agents who might look you up. Having my picture made isn’t my favorite thing to do. In fact, my photographer told me in exasperation that the toddler she’d had before me was an easier subject. I’m sure she was right. I had a pained grin in many of the pictures she took. There are many chain studios that do headshots. You do need to be careful and inquire who holds the rights to the pictures—you want to be able to use your image wherever it needs to go: websites, books, etc. Unfortunately, I forgot to bring a change of clothes. There are many, many pictures of me in a black dress floating around. The cost was not prohibitive. I purchased a CD full of different pictures (although I usually use the same one over and over) for about $100. You could get it much less than that if you just purchased two or three pictures. If you are getting a headshot for your author picture for a publisher, you’ll want to make sure that you follow their art department’s specifications. Most don’t want a full length shot (although studios like taking them)—they only want the shoulders up. And they like you looking right at the camera and not a side shot. They’re also not fond of pictures where you’re resting your head on your hands. So you might want to check in with your publisher before you get your picture made. Bios are written in the third person. Bios are really short…usually four or five sentences, max. Two or three would probably be better. The important thing is to list your qualifications for writing your novel, poem, or flash fiction piece. Author bios usually mention the writer’s college degree, writing organizations they’re members of, and any publishing credits, like articles they’ve written or contests they’ve won. Because Jane Doe is a writer. She’s just not published yet. Once you have your headshot and bio, it’s a great idea to post them on your website, especially if you’ve got a book coming out. That way, a news organization can just download a copy of the picture and take the bio off your page. I read a lot of blogs during the week and get a lot from what I read. Sometimes I read something that really stops me cold and makes me think. What advice do you have for writers who are “time management”-challenged? I’d tell them there is no such thing as time-management challenged. What we are probably talking about is that most left-brained time-management techniques don’t work for right-brained people. So people are not actually “time-management challenged.” They are likely right-brained trying to live in a left-brained world. If a right-brain person is waiting to be more like a left-brain person before they can master time, they are going to be waiting for a long time. But if they explore and experiment with what works for them within their current work context, and strive for their own definition of time-management success (assuming it harmonizes with those around them), they will start to thrive and be more productive. I’ve heard and read a myth that left-brained techniques work for right-brained people, if we’d only use them. But I’m pretty sure that’s the road to misery and frustration for anybody right-brained person, who buys into that myth. My first instinct (because I’m super Type A and an organization nut) was to completely disagree. But I’d never thought about the fact that it’s not something you’d read about in 12 Steps to an Organized Life. And I keep thinking there’s a *better* method out there. But I can’t stick to the *better* method. What works for me is to forgive myself for deviating off the schedule. But I do have an ideal routine that I have on paper as what I’d like to follow. In the perfect world…a world my brain and I don’t live in. Instead, I’ll deviate off sections of it. Some days just seem to need a different order of events than others. Some days I’ll start off writing. Some days I’ll start off answering emails for 15 minutes. Some days I’ll visit blogs first thing. For me, mornings are key. The more I can knock out in the morning, the more productive I am for the rest of the day. I’m not sure why that is. I do live by my calendar (online calendar and physical calendar). I do realize that anything that doesn’t get done will either get done during my catch-up time right before I turn in at night (after family time is over) or else…it just won’t get done that day. And I forgive myself for that. I do my writing on the go. And I allow myself some flexibility. What’s your overall plan for getting things done that you need to accomplish? Do you follow a right brained plan or a left brained one? I was checking out at the grocery store yesterday with a shopping buggy jam-packed with food. An elderly African American man came up in line behind me with cucumbers and a bottle of Ranch dressing. “Would you like to go ahead of me?” I asked, continuing to throw cans and boxes at the conveyor belt. “No, really—It’s going to take me a while to unload this cart. Why don’t you just slip ahead of me?” I’m still flinging things on the belt, not even looking at him. Now I looked at at him. He solemnly watched me as I continued pelting the conveyor belt with food while I mulled this over. Superstitious place, the American South. I looked at him again. He gravely studied me above his glasses. He reminded me of that billboard with the eyes from The Great Gatsby. This is why my books are full of as many psychics and superstitious people as church-going congregants. The quirky characters around me color my manuscript. Looking at the mystery market (and the trend may also be true for other genres), there's a lot of interest in unusual settings for books. What’s unusual to a publisher? It seems to be anything that’s not in New York, the hub of the publishing industry. Stieg Larsson’s series is set in Sweden. Louise Penny’s series set in a Canadian village near Montreal is enjoying great success. My friends Jim and Joyce Lavene have a brand new series for Berkley set in the small town of Duck, North Carolina. The exciting thing for writers is that our own experiences and personal knowledge of our region drifts into our manuscript. Since we live in so many different areas and our readers hail from different regions, it makes our writing seem even richer. Of course, some writers write about regions in which they don’t reside. Martha Grimes is an American who has done extremely well with her Inspector Jury series set in Britain. I can only imagine the research she’s had to do. If we write our region? Local color is as close as our grocery store. And we produce something original--an appealing commodity for publishers--in the process. I had a few comments yesterday on my slush pile post that asked for more detail on how I negotiated my contract with Midnight Ink in 2008. At the time, I didn’t have an agent, so I just did the best I could. I’ll quickly point out that I would never choose to negotiate a contract without an agent. Here is an excellent blog (written by editor Moonrat) explaining why having an agent is essential. Unfortunately, life doesn’t always work out the way we’d like. The best information on Do It Yourself Contract Negotiation was on two different agent blogs: the "Agenting 101" series (look for it on the right hand side of the page. There are eleven references) on the Pub Rants blog by agent Kristen, and a blog entry called "Ten Things to Know if You Go Commando" on agent Janet Reid's blog. The Absolute Write writers’ forum also ran an interesting couple of articles: http://tinyurl.com/yfgu3uv and http://tinyurl.com/yz47l29 . 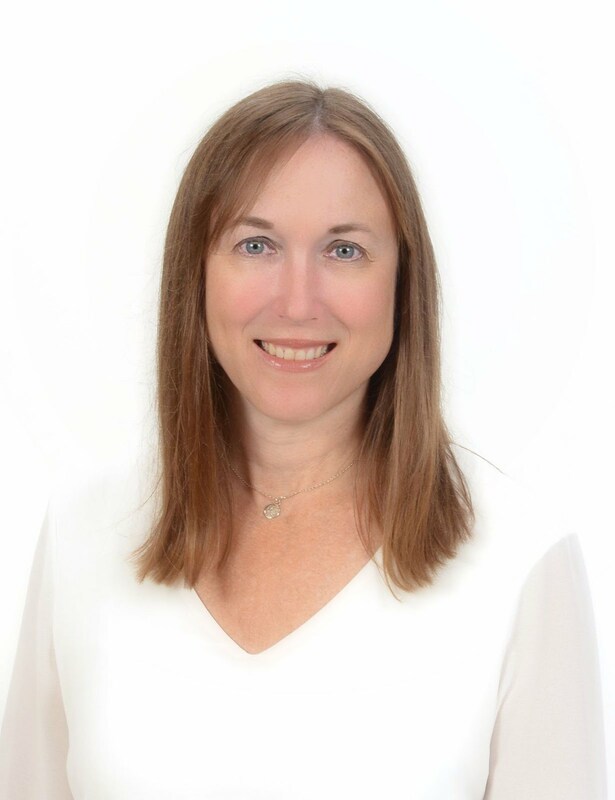 A guest post by agent Holly Root with Waxman Literary Agency on negotiating contracts: http://tinyurl.com/ybedos7 . I told them right away I wasn’t represented. They offered to wait a few days to see if I could get an agent to help me with my contract. At the time, though, every agent I was waiting to hear from was on summer vacation. I didn’t accept their offer on the phone and they didn’t ask me to. I just very politely thanked them for being interested in Pretty is as Pretty Dies. They emailed a contract and asked me to take a look at it. I asked good friends who write for Midnight Ink what a fair advance might be. They gave me what they thought might be a range. Since they’ve been established writers for a decade, I looked at the lowest part of that range when coming up with a fair advance for a newer author, like me. I checked online resources where genre authors had disclosed their own advances, etc. Everything I read said publishers expect a counter on different points. They likely don’t expect it as much from authors, but it wasn’t going to be like they were going to say, “Actually? Never mind.” if they were presented with a reasonable counter. I didn’t double the amounts or anything crazy like that. They came back meeting me halfway with most everything. Negotiating your own contract still isn't the way you want to go if you have a choice. I wouldn’t want to do it again! But if you’re in that situation, don’t sweat it. There is information readily available online—do the best you can. Helen Ginger on her excellent blog, Straight from Hel which follows and reports publishing news and trends, linked to a story in the venerable Wall Street Journal that proclaimed the death of the slush pile. Although the story, if true, would give every agent and editor in the business cause to celebrate (can you imagine wading through such an enormous number of submissions? ), I think that rumors of the slush pile’s demise have been greatly exaggerated. As recently as early last year, I was a slush pile girl myself. And it worked out pretty well for me. I started out with a very small Southern publisher for my first book, A Dyeing Shame: Death at the Beauty Box in 2006. Wanting to try my luck in the Big Leagues, I started researching. I decided trying out with the Medium Leagues made the best sense. Midnight Ink, a well-respected mystery subsidiary of Llewellyn Worldwide, was accepting manuscripts. Amazingly enough (at the time), they wanted full manuscripts. I read this part several times. Full manuscripts. Mailed to them. This was unbelievable enough to give it a go. 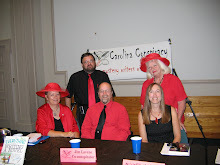 Plus, I respected the award-winning mystery authors who were published by them. I took an online course on synopses (MI did want a one-page synopsis along with the full.) I tore up a bunch of synopses but finally got one I thought would work. I mailed it off…the synopsis and the huge sheaf of papers that made up Pretty is as Pretty Dies, single-sided. I believe in covering my bases. I sent cover letters and synopses or queries to other publishers for the manuscript—including Penguin’s Berkley Prime Crime. I sent queries to agents (mainly online queries, but probably ten mailed ones.) I was rejected a bazillion times. Months later? Many months later? I found out that Midnight Ink wanted Pretty. I was delighted! They had a great plan for marketing, cover, etc. I continued receiving rejections for Pretty from other publishers. No one else asked for a full, so I didn’t tell anyone that the manuscript was off the table. More rejections from agents—even with the contract in hand. I read on blogs—particularly Pub Rants—(thanks, Kristin!) how to negotiate a boilerplate contract. I counter-offered and did the best I could under the circumstances. It worked out well. Roughly a month after negotiating my contract with Midnight Ink, I heard from my current agent. The system just takes a long time, y’all. They’re all inundated with emails and mail. My Midnight Ink editor and I were about two months into revisions when I heard from Penguin. 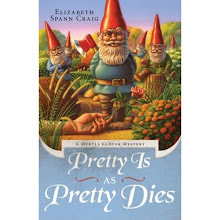 Pretty is as Pretty Dies had, being an unsolicited manuscript, gone into the slush pile. What’s worse? The editor that I had sent my original query and first 30 pages to had left Penguin at the time my email arrived at their office. The other editors had taken on that editor’s slush pile, working through hers as well as their own. Months later? They’d discovered Pretty—and were interested. After some quick checking, they’d found the Publisher’s Weekly blurb saying that Midnight Ink had it under contract. Amazingly, this editor emailed me to congratulate me on my deal with Midnight Ink and to say that they were sorry they couldn’t have published it at Penguin. I was absolutely stunned. Could I pitch them another series? I asked. I’d come up with one soon. I loved working with Midnight Ink—and it would be great to work with Penguin too. At that moment? I had no series ideas at all. I was caught completely off-guard. But they were interested in a series based in Memphis. An epicurean mystery with a Southern accent. I could submit the first three chapters and they’d see if my vision for such a series would work out. It did work out. And thankfully I had my excellent agent helping to guide me through the waters this time. But neither series was pitched to them by my agent. Both got to my editors through the slush pile. In both 2008 and 2009. My process of being pulled out of it reflected a tremendous amount of luck in the form of timing. I hope it also reflects the amount of research and effort I put into it…despite the rejections I received. Perseverance goes a long way with writing. I know what the Wall Street Journal is getting at. It’s a tough world out there. Publishers aren’t able to hire the manpower to wade through the slush. Agents are facing layoffs at their agencies, too. But there’s still slush. And there are still folks out there reading it. God bless them. I continued working on some other emails, a blog post, and part of my book. Then I suddenly stopped. Wait. My friend has a doctor’s appointment. On a day when there’s no school. Oh. It would be better if the playdate were at our house and during her appointment! I called her the next morning and she was so delighted not to have to take her daughter to the appointment. This is why, when I’m trying out a new idea, a new plotline, or a new character, I take a minute to consider all the angles. Or maybe it would be better if the murder victim were this person. Then the suspects could be drawn from different worlds—from the gamblers, from the art lovers, from the impassioned evangelists. Could the murderer be this oddball character? It might be a good cover. The person seems so innocuous and fun—but they’re really deadly. Or maybe the protagonist could be the preaching, art-collecting gambler? And his good friend who bridges two of the three worlds is murdered—which could provide a believable reason for him to do some sleuthing. You can go through this same process with things besides characterization. Try it with setting. Maybe you have two characters who need to discuss something. You’ve got them going to a diner—wait. You always have them in a diner. Let’s make it someplace really different this time: Chuck E. Cheese. A perfect place to meet with an informant or to have a drug deal because all the mommies there are way too distracted to be suspicious of underhanded activity. Or maybe you’re sick of characters meeting over food, period. Your protagonist decides to question the underworld informant at his office—which just happens to be a well-respected CPA firm. This is easy to do with plot, too. You could take a tired scene—the heroine going down into the spooky, allegedly deserted basement. The reader is probably pretty sick of that approach, you decide. So what if she turns the handle of the basement door…just to make sure it’s locked. But it’s not and some depraved creature slams against the other side of the door, forcing itself into her sunny, happy kitchen with the rooster wall clock and polka-dotted dishtowels. The more I take an idea and twist it, the more interesting it usually gets. And I’ve usually given the scene, character, or setting more depth and freshness. How do you improve on your original plan or idea? I took a two week break on my next Myrtle Clover to work on my next Memphis BBQ book--I have a hard time working on two manuscripts at once. When I came back to my Myrtle Clover book about a week ago? I couldn’t find the revised file. I’d rewritten the first three chapters completely…where were they? I spent three hours looking for the corrected file. I looked on my desktop. I looked in My Documents. I even looked in my Downloads folder. Nothing. I checked the files I’d emailed to myself. I checked my thumbdrives. Nothing. The computer had eaten my file. But it was my screw-up. My mistake (besides neglecting the backup that I nearly always make)? I should have just immediately started the rewrite again. Every time I rewrite chapters from scratch they end up better than they started out. It’s tedious. It’s annoying. It makes me grind my teeth. But the text is better. Finally I accepted that the chapters were gone. I sat down and tried remembering where I’d gone with them the first time. Then I started writing. Have you messed up? Lost a file? Accidentally deleted one? Try to calm down. This is a big one. I was in orbit for at least an hour. Stop the recriminations. Really, does it matter now if your puppy ate your outline? (Yes, this happened to me several years ago when I made an outline. It was one of many factors that made me decide against outlining. You can even lose hard copies of things--not just the electronic version.) It's definitely quicker to accept the text is gone, not be too hard on yourself, and start working on that section of the manuscript again. Piece together your thought process from the last time you worked on the project. Where were you going with the plot and characters? If you were revising, then were you cutting text, adding text, or rewording? Build on the foundation of what you’ve already got. There’s usually still something there…on paper, on an email you sent someone, in some random Word folder. It might be an early draft or only brainstormed ideas. Take what you’ve got and then add to it. Help ensure it doesn’t happen again. If your mess-up involves backing up, then you’re in luck—there are a multitude of methods of backup these days. Thumb drives/USB drives are incredibly cheap now and, to me, easier to use than CDs. My all-time, lazy method of backing up is emailing the document to my Gmail account. It’s accessible on any computer and it’s there. Too bad I didn’t back up those first few chapters. There are also external hard drives you can buy, online storage, etc. My husband now has me hooked up with a USB and a program (SyncToy) that automatically saves to the USB as many times a day as you set it up to save. Even if I don't think about it, the computer application will. Have you lost data? What’s your backup method? I’ve been thinking about 2010 plans for my blog and there were a couple of ideas I had for guest posts this year. Also, I wanted to update my bloglists in the sidebar (which is always a work-in-progress), and so I’m working on that in the next few days, too. 1)I’ve been interested in hosting guest posts on different series of topics. There has been some interest in writing processes lately, and I’m always really interested in other people’s ideas on the subject. What I thought I’d do is to open it up to guest bloggers. What’s your writing process? And to make the series run more logically, I think it would be great to divide it up into: Prewriting (What you do to prepare.) This could include brainstorming, research, reading writing reference books, how you decided on your genre, finding and refining your original idea, and—if you do it—outlining or storyboarding. Or anything else you do to prepare for writing. Writing (The actual process.) This could include how you schedule it into your day, what your writing goal is, how you develop characters or plot, etc. Do you start at the beginning? Do you hop around as you write? Or you can write about any other part of your writing process. Revision. Do you revise as you go along? Do you revise after your first draft is done? Do you revise for grammar and spelling errors first or for global changes like more character depth, etc. Do you mostly reword during revisions, or do you slash out extra verbiage? Do you find that sometimes you need to add text? You can also write anything at all about your revision process. I’d like to have them run on Fridays. It doesn’t matter if we get 5 people writing on pre-writing and then 8 people writing on writing, and 10 writing on revision. That will work out fine because we all have different approaches. You can include links to your blog or website, pictures, etc. If you’re interested, please email me at elizabethsguestpost@gmail.com and let me know which part of the writing process you’re interested in covering. I’ll try arranging them in order—first prewriting, then writing, then revision. I’ll make sure the posts are Tweeted and out on Facebook, etc. I’ll email you back to work out the details and date for your post to run. It might take me a few days to work it out (and I’m under a revision deadline right now), so bear with me. :) It will probably be next Friday (Jan. 22) that I manage to launch the series. 2)Also, if you have a new release coming out this year (and I know a couple of you definitely will) then I’m open to guest posts with book covers, buy buttons, and author photos. Let me know your release month and I’ll get it set up. Again, if you could shoot me an email at the above address. 3)Finally, I’m doing some bloggy housekeeping. If you’re a blogger and read “Mystery Writing is Murder,” is your blog in my blogroll in the sidebar? If not, let me know in the comments and I’m happy to link up to you. If you lurk—no problem! I’m a lurker myself, so feel free to pipe up once and return to lurking if you’d like. It’s just that sometimes I think my linking falls through the cracks, and I don’t want to miss anyone. When I got my daughter’s 3rd grade newsletter (when she finally returned to school after her bout with the flu), there was an entire page on a new technique they were using to teach spelling. The letter also asked parents to encourage children to spell carefully. I easily remember being 8 years old and giving stories for different teachers or adult friends to read. “It’s a wonderful story. But I’m so distracted by the spelling that I can’t really enjoy it as much…” The “wonderful story” got lost and so did the encouragement. I wasn’t asking them to grade it. I wanted them to like the story. When I gave my manuscript to first readers years ago, I didn’t know to tell them what types of errors I needed them to read for. Now I’d rather say, “Can you read this strictly for content?” unless I’m at the point where I need line revision. The writing community is an incredibly supportive one. I think that’s because writers get constant rejection—agents, editors, reviewers, even critique group members. We get negative feedback on our work. And maybe we’re not the best folks to handle it. I’ve read articles from some writers that say we shouldn’t give out false hope to writers who just haven’t gotten there yet. I don’t agree. No one’s saying the road to publication isn’t a rough one. No one’s saying not to do your homework and revise like crazy. But every manuscript or poem or essay I’ve ever taken a look at has some worth to it. If the writer has cared enough to share it, there’s a spark in the words that belongs to the writer. It might be an original idea or an interesting character, or a new twist on an old plot. One of the critique groups I was in had a rule: you’ve got to find something good to say about the manuscript. You couldn’t just go in and rip it to shreds. You had to find some redeeming value to the piece. And there’s always something there. Writing can be a very discouraging business. It helps tremendously to have people who cheer you on. After my post, Time, I got an email regarding my first drafts and the speed with which I write them. The reader was interested in getting some tips on speeding up the process. There are a few things that help the first draft go quickly for me. Deadlines for two series have something to do with the motivation, for sure. And practice helps, too. But there are some steps I take that help make the writing go a little faster. I do an initial brainstorming on paper, before I start the project, for random ideas. Sometimes I don’t end up even looking at the paper again, but it does help to get the creative juices flowing. I’m writing series and have a particular pattern to my books. I like to start with a prologue (I know. They’re not popular with editors, but…I’m all about rule-breaking. And they seem to work for me.) I usually follow up the prologue with a surprising conversation. I’m not spending a lot of time thinking about how I want the book laid out because I figured that out a couple of books ago. I have a storytelling voice, so I treat the draft as if I were transcribing a story that I’m telling someone. It’s conversational. The story unfolds in an easier way that way. I ask myself “what if” as I go along. Telling the story aloud helps, too—as long as I’m not out in public where talking to myself is frowned on. Sometimes, as I write, I’m not happy with the direction I’m taking the story in. I start taking the story in a new direction at that point and flag the point where the storyline changes so that I can come back and fix the text before that point during the second draft. I don’t stop at that point and rewrite the older scenes. That's a revision task. The mark I make with Word's Track Changes or with Word's Highlighter makes the editing easier later, though. Since I’m writing series, many of my characters and settings have already been established in a previous book. I can easily pick up with those characters just like I pick up with an old friend I haven’t seen for a while. Since my protagonists are established, I'm not spending time trying to figure them out as I write--I'm working on character depth. Also…genre mysteries run around 75,000 words. I’m not writing literary fiction, which runs a lot longer. I’m writing primarily from one POV. Sometimes I’ll let the reader into another character’s head—but it’s just for a second or two. I’m not developing complicated storylines for multiple POVs. I’ve learned to write anywhere and with any noise level. This helps tremendously since some days I’m doing my writing on the run. The ability to adapt to any environment I’m in makes the writing go faster. I love writing and reading dialogue. To me, it’s the best way to have characters interact, to create conflict, to include backstory, etc. Dialogue is also the quickest thing for me to write. And…it uses up a lot of space on the page, just by its nature. There are lots of indents and short sentences with dialogue. I type fast. Really fast. It does help. Also—I think it’s really, really important to set an attainable goal for yourself. And I mean really attainable. Mine used to be one page a day. It didn’t matter how I scraped together that one page—some of it could be on sticky notes in the car that I gathered up later. But I always got that one page. This made me feel really positive about my progress—after all, if you write just one double-spaced page a day then you’ll have a first draft in less than a year (assuming you’re not writing something really long.) When I felt positive about the progress, I usually found myself going over my goal. But even if I did go over my goal, I still wrote my one page the next day. I write every day—even on weekends. Even on holidays. I don’t want to get right up on my deadlines, which would really stress me out. Before I know it, the first draft is done. And boy, it needs work! I’ll go back and check all the notes I left for myself in Track Changes, and return to the highlighted text and edit like crazy. It takes another 6 weeks to get the thing in shape for submission to my agent or editor. To me, the most important thing is that I’m writing every day. And reaching my goal…no matter what that goal is. I had a disaster Wednesday, similar to what you’d find in one of my Myrtle Clover mysteries. I realized after my daughter had been up for several hours, that her cough sounded different than it had the last few days. I called the doctor and quickly made an appointment. I was already halfway through my preparation for Salmon Shirred Eggs for my blog today on the Mystery Lovers’ Kitchen. Since the recipe involved eggs and we didn’t need to leave for the doctor’s appointment for 30 minutes, I decided to go ahead and pop it in the oven. Naturally, I was in a hurry. The recipe itself is very easy. It can be made complicated, however—if you dump the contents of the cups onto the floor of the oven. Which I did. I was well-behaved and used absolutely no profanity. My 8 year old was standing right there, so I just bit down on my tongue. I scraped out the salmon and eggs and cream from the bottom of the hot oven very quickly, hopped in the car and we drove off for the doctor. We’re in the pediatric waiting room and my mind is spinning. I’ve got to get more eggs for the recipe. Oh shoot…and some smoked salmon. I need to pick up that book at the library for my other sick child to read. Oh—I needed to email my agent about that one thing. And then, ideas for my book started flooding into my head at the same time—unwelcomed. I got a pencil and jotted them down on the back of a receipt. My cell phone buzzed me. I tried ignoring it. I Spy is the game my daughter and I always play in waiting rooms. It’s a good sit-down game. “I spy something…gold!” she said. Really? In the doctor’s waiting room? All I spied was a polka-dotted floor, primary-colored chairs, and some really upset babies in blankets. “Mama! That’s brass. Not gold.” This around her hacking coughs. Try as I might? I couldn’t find anything gold. Or, for that matter, pink, aqua, or tan. I also couldn’t find the correct brown object she was looking for. “You’re not even trying,” she said. But I was trying. And then it struck me that it wasn’t that I’d suddenly been struck colorblind. I was so distracted that I couldn’t even focus on the task at hand. I was definitely trying to play I Spy. I was looking at my daughter and looking around the waiting room. But my mind was in and out of contact. It was too full. My daughter? She was diagnosed with acute bronchitis, following the bout of seasonal flu. Me? I diagnosed myself with observational failure. I do really well with big observations (like the fact my daughter’s cough had changed), but the bitty things—the small sounds, bits of color, warm breezes—they can get lost in the shuffle. Or lost following an epicurean disaster. I dropped off the antibiotic prescription at the pharmacy. I drove to the store for more eggs and smoked salmon. And I tried to empty out my head from all the noise in there. Quiet the voice that reminded me of the things that needed to be done that were not getting done. I slowed down. And found, despite two sick children and an oven waiting to be cleaned, that it was actually a pretty nice day. Next time I play I Spy? I’m going to ace that game. Is there anything you’re working on? As a writer or as a person? This fall and winter have really tested my nursing abilities. I’ve been busily refilling water glasses, taking temperatures, handing out bowls of cut fruit, and checking in with doctors’ offices and schools. Monday my daughter was only interested in either sleeping or curling up in a tight ball of misery on the sofa and watching “Spongebob.” It’s amazing the work you can do, sitting beside a sick child with a cartoon running in the background. Tuesday morning I got a text message from my son. “I’m sick.” Sure enough, the middle school was delighted for me to take my feverish, hollow-eyed child back home. They’d both been fine only a couple of hours before the flu hit them like a ton of bricks. Do your characters get sick? I’ve got illness on the brain now and my characters will probably come down with something nasty. The thing about illness is that it’s intrinsically boring. You feel like you can barely lug yourself out of the bed. You’re not running around leading an interesting life when you’re sick. But getting sick is real life. And it’s another way of adding some depth to a character. What if it’s a chronic illness and the character is the protagonist’s child or mother? Then the illness provides a good vehicle for conflict or for the protagonist’s growth as a character. If the protagonist learns to deal with medical problems like heart disease, diabetes, or even the flu, it not only shows the vulnerability of the character, but their strength, too. Do you plan on inflicting any illnesses on your characters? I’m guessing we’re all trying to see if we’re on track as far as scheduling different writing tasks. For what it’s worth, here’s my average total for different activities. It varies some days, but my goal is always to finish by 2:00 p.m. (when my daughter gets off the school bus.) Some days I’m way off my goal, but most days I finish the brunt of it before 2:00. Twitter: 10 minutes a day, tops Facebook: 10 minutes a day, tops Blogging (visiting blogs and answering comments): 1 1/2 hours Daily writing: I usually write half a chapter a day. If this takes 30 minutes, I’m done in 30 minutes. If it takes 2 hours, I’m done in 2 hours. Writing a book: It takes me a little over a month to write a first draft. To get the book on the shelves: It takes about 6-7 months for the publisher to release the book. Promotion: With my last release, I spent about 3 hours a day on promotional activities—this included my own blogging and visiting, but expanded into numerous guest blogs, tweets, Facebooking (even on my personal FB page). I also made (for me) lots of in-person appearances at bookstores and libraries and writing workshops in the two months following the release. We’ll say 24 hours worth (all together) of preparation and attendance at signings, etc. I cut off the rest of this one-page synopsis of Disney’s Pocahontas, which has Avatar’s characters and plot plugged into it…I didn’t want to create a spoiler for the movie, if you haven’t seen it. This is something that’s been circling the internet for about a week. You can see the full story on Media Bistro. This is one reason why I’ve never been worried about sharing my WIP (work in progress) ideas with other writers—there are only so many plots out there. They could take my basic premise and come up with a completely different novel. Why? Because they’re different from me. They think differently, have different experiences, and have a different background. No one is saying James Cameron hasn’t made an innovative film. But what makes it innovative? The cutting edge technology and his characters. He brought all his creativity into the project and that made it fresh. Then we have Georges Polti’s The Thirty-Six Dramatic Situations . I’ll let you click over and scroll to the bottom of the page if you’re interested, considering the length of this post. Let’s say, for the sake of argument, that there are as many as 36 basic plots or dramatic situations. That’s not very many. But do we get bored with the books we’re reading? Not usually. Because each author brings something fresh and new to the plot. It might be a unique setting. It might be a fabulous character or a fun twist ending. It might be the writer’s voice, itself. I think we could give twenty people the same basic plot assignment and we would get twenty wildly different books in varying degrees of complexity, humor, and even genre. Do you ever notice the repetition of plots? Or are the authors’ different voices enough to help you forget the plot similarities? I’ve said before that the biggest moment for me in getting published was when I determined what I wanted as a writer. There are so many directions that you can follow with writing. If you want to write professionally, you can choose a job where you’ll write: advertising, radio, TV, stage, newspapers, freelance writing, etc. You don’t have to write novels or nonfiction books to satisfy the writing urge. I’ve also spoken to several writing groups before. There were writers in these groups who were perfectly satisfied writing for a small audience of readers. Maybe they were penning a family history or writing a memoir to be handed down. And there is nothing wrong with that—you save yourself a lot of trouble by realizing that’s what you want and that you don’t need to query or write synopses. Then there are writers who are really writing just to please themselves. Many poets I’ve met fall into this category. And it’s an incredibly satisfying thing—writing poetry and journaling. It’s a voyage of self-discovery. Small publishers might be the perfect fit for you. It’s usually not necessary to have an agent and you usually get the distribution (and paycheck) you’re looking for. None of these things is better than the others. They’re just different. I was just as happy writing for myself as I am writing for my publishers and readers now. I just wasn’t quite satisfied with it, so I decided to take the next step. There are good points and bad points for all of them. But you have to figure out what exactly it is that you want. Only then can you do the research and work required to achieve your goal. Should You Tell People About Your WIP? Do you mind telling people about your WIP (work in progress)? Or does it make you grit your teeth when they ask? Do you wonder why people never ask accountants what they’re working on? Usually, if you’re out of the writing closet, this is a question that you’re going to get from time to time. I get it pretty frequently from acquaintances who know I write. You get ideas—If I tell you about my WIP or you’re a first reader and you offer some ideas? I’m not shy about taking them. Sometimes you can even adapt an idea and change it into something really useful. Both Dorte and Hart have given me great ideas for two separate books (one a Myrtle, one a Memphis.) I love ideas. And they’ll be in my acknowledgments section! You might not have fully formed the plot yet. You might not be able to really even say what exactly it’s about. So you halfway describe it and the person you’re talking to looks confused. Because it is confusing—it’s not a solidified plot. You might not be in the spot where you want to share your WIP’s plot because it’s malleable. And you don’t want it transformed before you figure out where you’re trying to go with it. When you share your idea, some people may criticize it or appear disinterested when you tell them about it. When it’s in the formative stages, that’s not fun. Then you start second-guessing your plot. Reading this over, it looks like I’m seeing more of the downside to WIP sharing. I wouldn’t have said that, going into this post. Maybe it just depends on the person I’m sharing the info with. If he’s a writer, that’s one thing (he’d understand.) If I’m sharing with non-writers? Maybe I should keep it vague. Do you tell people what you’re working on? When I was a kid in the late 1970s in Anderson, South Carolina, I’d sometimes have to go to the drugstore with my mother. This was not a fun trip for me. Other than Belk Department store, the drugstore was the most boring place in the world. The only redeeming quality to this shopping trip was the comic books. The store had them on a wire rack. They were packaged in sets of three inside a plastic wrap. So you could see the comics on the front and the back of the 3-pack. Those comics would be something great like Peanuts, Donald Duck, or Little Lulu. But the one sandwiched in the middle of the pack was a mystery. And it was always awful. When I unwrapped the pack in the car, I’d find a dreaded Boy Comic Book. (Sorry boys.) That would have even been okay if it’d been a decent boy comic like Superfriends. But no, it would be some 3rd string, horrid comic book with awful illustrations. Having a horrible middle in your book isn’t a good idea, even if your beginning and end are fantastic. Put the character another step toward their goal. Introduce a new character who either causes conflict for the protagonist, or helps him to his goal. Put your protagonist under pressure. Throw in a life-changing event. Death, birth, job loss, unexpected personal gain. Plot backwards. Okay, I know it sounds bizarre. But some writers swear by it. Basically, it means to start at the end (assuming you know how the book ends) and plot backwards to the point where you currently are. What needs to happen to get you to the end point? Those key events in your story can be plugged in. Work on your subplot. If your main plot is faltering, try working on your subplot for a couple of scenes and see if you can get back to the main story afterwards. Or see if you can connect the subplot to the main story in some way. Include a suspenseful scene. If the story is getting boring and saggy to you, it’ll really seem so to a reader. Maybe a little excitement is in order. Reveal a secret. Or disclose some previously-unrevealed depth to your protagonist or a secondary character. I was driving back from having lunch with my husband yesterday when I saw a little tableau playing out on the side of the road. Well, the road was actually a major highway and I was driving 74 (not 75 because I never go more than 9 miles over the speed limit), so my impression of the scene was a split-second one. There were several construction workers standing at the bottom of an incline with their arms folded. There was another man who appeared to be a foreman. A furious foreman. He made chopping, angry motions with one hand before waving it around in the air. His mouth was open wide as if he were yelling. He stood stiffly and every muscle looked tensed. The person who seemed to be the object of the fury was another construction worker with slumping shoulders and head hung low as he shifted from foot to foot. Uh-oh. Someone screwed up. And I whizzed by in another couple of seconds. I’m not one who does well with nonverbal cues in conversation. I frequently puzzle over conversations after they’re over—thinking that I missed something. But with my writing I’ve learned to concoct social cues that help power my scene. Can your reader tell what you’re characters are feeling by their actions? Body language can be really useful when you’re writing. Does a character grit their teeth when their mother in law corrects them? Smile with their mouths but not with their eyes? Bite their fingernails while waiting in the dentist’s office?Do they avoid eye contact when a parent is asking them questions? You can also use their tone of voice (strained? wavering?) to help show their reactions to events. Nonverbal cues are great ways to communicate emotions to your reader. They also fit the “show, don’t tell” requirement that editors look for in manuscripts. One upside of show, don’t tell is that the reader is a little more engaged in the passage—they’re reading clues to the character’s emotions instead of having them labeled and spoon-fed to them. It’s a more active process. I sometimes like using nonverbal communication that sends a mixed message just to shake things up a little bit. The meek woman with the strong handshake. Or maybe the character pretends not to see an outstretched hand. Is the character snubbing the protagonist? Or is he worried about catching germs during flu season? I’ve found it useful to practice nonverbal skills. One way is by muting the television and watching actors (who are gifted in vividly putting emotions across) as they fret and strut their way across the stage. Soap operas are especially good at this. Lots of violent emotions on soap operas…as well as Deep Thought. Overacted sometimes, but that’s all the better! Another exercise I’ve found useful is people watching. Lots of writers go to shopping malls to watch people and get character ideas. I’ll go to coffee shops usually, since malls aren’t a favorite of mine. But while you’re people-watching, you can focus in on people whose conversations you can’t overhear. I try to guess what they’re talking about by their demeanor. Is it a job interview? (I see lots of those in coffeehouses.) Is it a couple having an argument? (I also see a fair number of those.) Someone dominating a conversation as the other person gets irritated? Do you enjoy using nonverbal communication? Is it an easy technique for you, or a hard one? Hope you'll pop by Mystery Lover's Kitchen this morning. I have a special guest, Laura Childs, who writes several mystery series for Penguin. She's sharing her recipe for Eggs Benedict and discussing her latest release! Yesterday I wrote about books and manuscripts with wooden prose and a flat delivery. Ways I thought a writer could jazz up the writing a bit were by changing the voice, revising the work, including vivid setting imagery, changing the sentence structure, and by supplying character movement. Use more dialogue. A conversation between characters; as long as it’s moving the plot along or creating some conflict, or playing a role; is a great way to liven up a wooden scene. Use both long sentences and short sentences. Mixing up the sentence length lends the text a different rhythm and pace. Show, don’t tell. Instead of telling how a character feels about something, show the emotion through the character’s actions. There are times where telling is better than showing (action sequences, for example), but for the most part, it’s more interesting for the reader if they can draw their own conclusions instead of being spoon-fed information. It brings the reader into the story and gives the novel depth—gets rid of the flatness. Consider your choice of words. Are you writing in an accessible way? What kind of an impression is our vocabulary or style giving the reader? The worst thing to do is sound pedantic or as if we’re talking down to our reader. Plus, it’s not drawing the reader in. And, usually? It reads very woodenly to me. Consider the project itself. Have you lost interest in it? If you’re writing woodenly day after day, it could be symptomatic of a problem on your end. Have you fallen in love with an idea for a different novel? Have you written yourself into a hole? Assess what’s changed. See if you can get excited again about the WIP or whether it’s time to put it in the graveyard of unfinished projects. Has your WIP ever sounded flat? What did you do to fix it?